I get it, the thought of putting an oil on your face seems a little scary. Will it clog my pores? Will it make me break out? What if I already have oily skin? I can't use an oil if I have acne, can I? 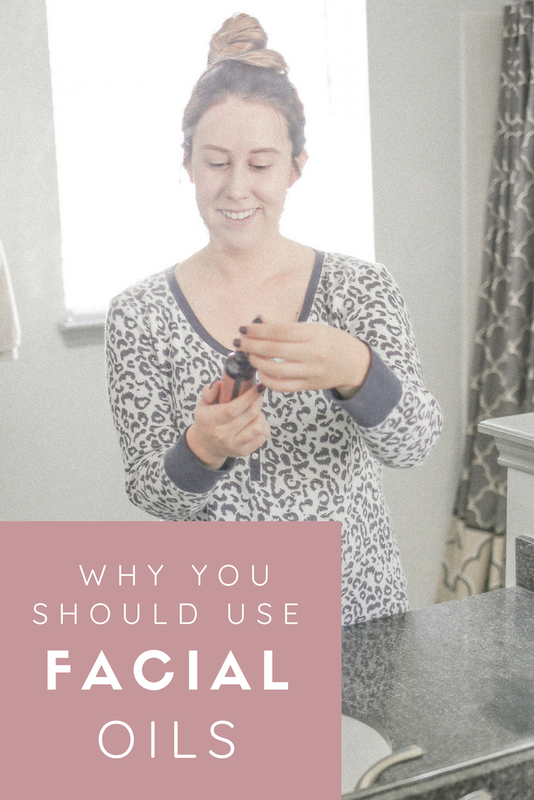 All of these questions popped into my head too, but when my esthetician told me I needed to start incorporating an oil into my routine I decided to do some research. There are a ton of benefits to incorporating an oil into your skincare routine. The most obvious one - it's moisturizing. As we head into cooler temps and dryer weather, my skin begs for more moisture. Especially if you're from Colorado, like me! Using an oil is more effective than a lotion or cream because it penetrates deep into the skin and traps water in, while keeping all the bad stuff out. Oils aren't just for your face, feel free to use it on your legs, elbows or dry patches of skin. Almond oil is great for moisturizing your skin because it has omega-3 fatty acids. Roseship seed oils are also a great option because it's packed with antioxidants. We all moisturize our skin to not only stay hydrated, but also to reduce wrinkles and an oil will do just that! Sadly, this is the reason my esthetician recommended adding an oil into my routine. That's what I get for using a tanning bed for years, I suppose. There are a ton of oils out there that are packed with antioxidants to help prevent further aging and the signs of sun damage. She recommended an Argan oil or Grapeseed oil for me. I ended up going with this Argan oil and so far, I love it! This next benefit amazed me (until I started using an oil myself) - they can shrink your pores! You read that right. Oils such as jojoba, macadamia and argan actually pull out dirt and grime from your pores. Because of the way oils are formed it actually protects your skin from environmental damage such as pollutants. Your face naturally contains oils, but when you put more oil on your skin it will act as a temporary barrier, feeding the skin with nutrients to restore itself and protecting itself from the bad stuff. Another great benefit to using an oil in your skin routine - it helps reduce inflammation and controls your acne. The outermost layers of your skin are composed of cholesterol, fatty acids and ceramides which are all oil-based. These ingredients are commonly found in face oils, meaning your skin is tricked into thinking it "fixed" itself. There are plenty of facial oils with calming ingredients such as geranium and argan oil that help reduce inflammation such as redness around pimples, rosacea or even rashes. 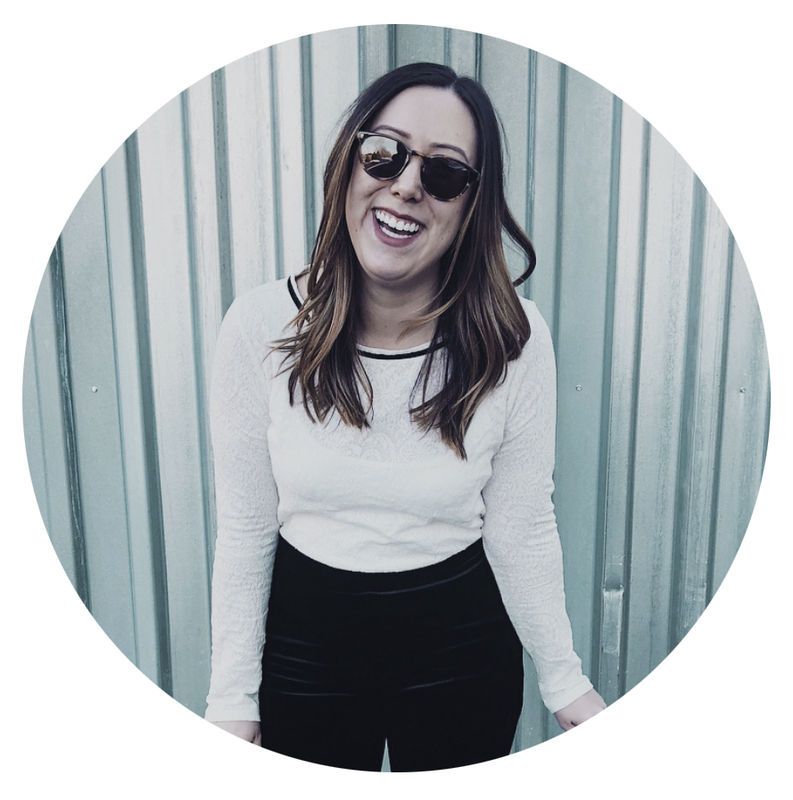 I got a zit a couple of weeks ago and as I put oil on my face and over the zit I had to give myself a little pep talk and remind myself of this blog post. Truth is- the next day the redness was gone and the day after that, so was the zit! Alright, now let’s talk oily skin + acne. A lot of times, people think they have oily skin because they get shiny throughout the day, but in reality the skin is intensely dehydrated, so it responds by overproducing oil to soothe the skin. I suffered from horrible acne as a teenager and I was on a ton of topicals and pills. My whole life I was using products to make my skin matte, oil-control cleansers and more. It turns out, my skin was just reacting to lack of moisture. My dermatologist told me to start using a moisturizer and I looked at him like he was crazy. If you suffer from acne, you are most likely using products that are very drying, adding a facial oil to your skin routine to reduce inflammation and trick your skin into producing the right antioxidants can be very beneficial. Of course, always ask your dermatologist if this is right for you. So you just purchased your first oil, now what? First of all, a little goes a long way! Put 3-5 drops of oil in the palm of your hands and rub together to coat your palms. Lightly press the oil onto your cheeks, forehead, chin, nose and neck, do not rub it in. You want to apply the oil in order of products from lightest to heaviest. Some say it is best to apply after your final step of moisturizing because the oil will lock in the moisture and seal in all of your serums and toners you applied before it. Try to think of it as applying from the lightest to heaviest of products. Notice my cat in the corner…she really wanted to make an appearance! I carefully chose my Josie Maran 100 percent Pure Argan Oil. I went to the Sephora website and started researching oils based on Bestsellers and Top Rated. I was leaning towards two others - Luna Sleeping Night Oil by Sunday Riley and Virgin Murula Luxury Facial Oil by Drunk Elephant. I’ve heard great things about both, but what ultimately won me over was Josie Maran had 7K positive reviews, compared to the others who had 1K or less and they averaged a 4 1/2 star rating! If that doesn’t sell you, this will. Josie Maran comes with 1.7 oz at $48! Compared to Luna with 1.18 oz at $105 and Drunk Elephant with 1 oz for $72. 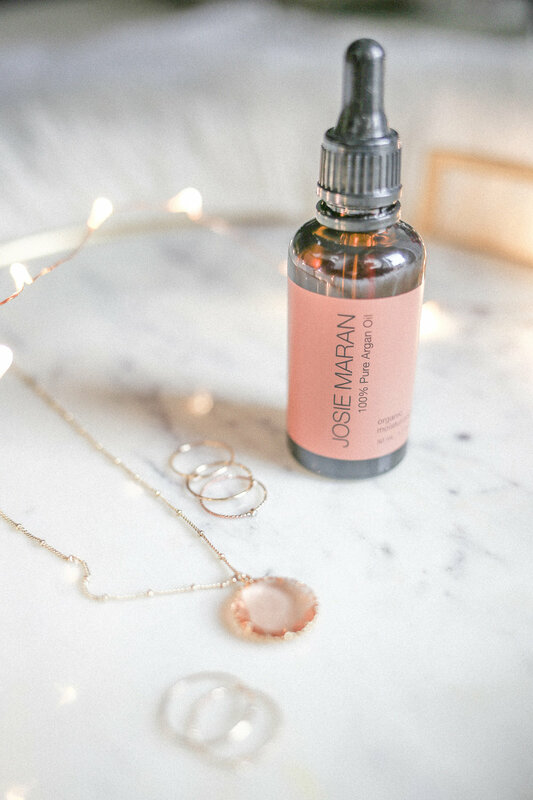 Josie Maran is the biggest bang for your buck, but these other two also have great reviews if you’re willing to splurge. Shop these facial oils below!